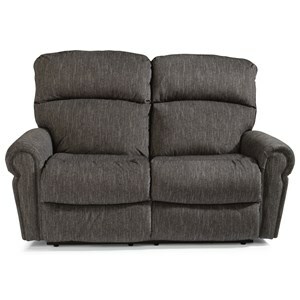 This casual power reclining love seat will make a great addition to your home furniture collection. 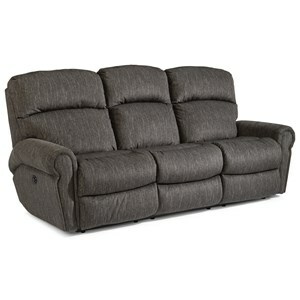 This love seat features high-density seat cushions for a resilient sit, divided back cushions for lumbar support and a fully-padded footrest for comfort from head to toe. 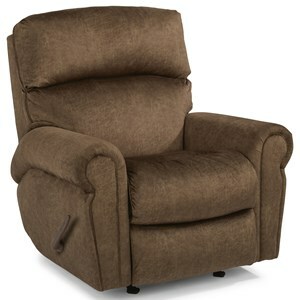 The power reclining mechanism allows you to recline to any position with just the though of a button. A USB port is installed on the power control for your technology needs. This love seat requires 5" of wall clearance. 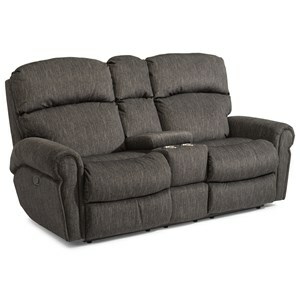 The Langston Casual Power Reclining Love Seat with USB Port by Flexsteel at Hudson's Furniture in the Tampa, St Petersburg, Orlando, Ormond Beach & Sarasota Florida area. Product availability may vary. Contact us for the most current availability on this product. The Langston collection is a great option if you are looking for Casual furniture in the Tampa, St Petersburg, Orlando, Ormond Beach & Sarasota Florida area. Browse other items in the Langston collection from Hudson's Furniture in the Tampa, St Petersburg, Orlando, Ormond Beach & Sarasota Florida area.